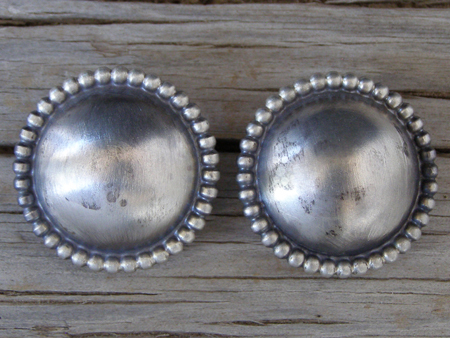 The are classic Navajo-made domed button earrings. They are wrapped with raindrop wire around the edges of the buttons, lightly brushed and oxidized to give them an old pawn finish. Beautifully made!